Are Your Insecurities Holding You Back? Do you sometimes feel as though you have all the potential in the world, but for one reason or another you keep holding yourself back? You have a vivid imagination and can visualize endless possibilities. In your mind’s eye, no goal is seemingly out of reach. But for some reason, in the real world, you just can’t seem to get yourself to do all the things you imagine. It’s as if something is holding you back from living life in an optimal way. So, what is it? What is this thing that holds us back from tapping into our full potential? Well, it’s actually often not one single thing, but a multitude of things that come together to form the bedrock of all our insecurities. When we feel insecure about something, we are unable to fully trust ourselves at that moment. And without trust, there’s a shadow of uncertainty. This leads to hesitant behavior where we struggle to take decisive action toward a desired outcome. Because of our insecurities, we tend to live with excessive anxiety and paranoia. We avoid taking proactive action and judge ourselves harshly when our lofty expectations are not realized. While riddled with insecurity, we form unhealthy attachments to others. We use people as a platform to boost our own self-esteem. We rely on them to build our self-worth. Moreover, we secretly hope and pray that they will bring the best out of us. But time and again people let us down, and this just plunges us deeper down our insecurity spiral. But why? Why do we do this to ourselves? You feel insecure because you make irrational interpretations about yourself or about your ability to get something done. These interpretations stem from irrational beliefs that create a false reality about how you or things ought to be in particular situations. You might, for instance, expect perfection from yourself. However, actual reality is very different than imagined reality. You simply cannot live up to those kinds of expectations, and you, therefore, succumb to the fact that you’re just not good enough. When you feel “not good enough” this leads to a lack of trust. You just don’t trust yourself. You feel unworthy and incapable of fully being yourself when around other people. You worry about being judged, rejected or criticized. This paranoia holds you back from reaching your full potential. You struggle with low self-esteem and cannot live the life you actually want. However, as insecure as you are, you certainly don’t want the entire world to know about it. And so you compensate in other ways to hide your flaws and shortcomings. For instance, because you lack confidence you naturally compensate by acting cocky and arrogant in social settings. You might, for example, be excessively competitive, or maybe incredibly selfish, or even overly critical of others. These behaviors are, of course, not the real you. The only reason you indulge in these kinds of behaviors is to hide your insecurities and flaws behind a veil of arrogance. However, inside you are desperately crying out for help. If, however, arrogance doesn’t drive your behavior, then you might come across as being very defensive and combatant. In such instances, you tend to blame people for your problems, or you may simply judge them unfairly. Furthermore, you’re very aggressive and get aroused by jealousy very easily. Again, all these behaviors are not the real you. You are simply acting out to hide your insecurities. You don’t want the world to see the “flawed” you, and so you act out in these ridiculous ways to compensate for all your inadequacies. I suspect that you would agree that this is no way to live. You can’t spend a lifetime living behind a veil trying to cover up your true authentic self. Yes, you possibly have several shortcomings and flaws, but we all do. Some people have even learned to embrace their insecurities. In other words, they haven’t allowed their insecurities to hold them back from being their true selves. It’s, however, not always easy to work through our insecurities. They are susceptible and fragile things. But there is actually a process you can follow that will help you to progressively overcome your insecurities. All you need to do is to commit to working through it step-by-step. What follows is a six-step process you can use that will help you to work through your insecurities. These are progressive steps, which means that it’s important to go through each step fully before moving onto the next step. I am confident that this process will work for you. However, you need to first commit yourself to the process. Moreover, you need to commit to putting in time and effort into this process. Only in this way will you see results. The first step is all about awareness. You need to identify the types of insecurities you typically struggle with. This will require uncovering irrational beliefs and unhelpful thoughts that are at the core of your insecurities. What exactly do I tend to feel insecure about? What uncertainty exists that is making me feel insecure? What worries or fears are making me feel insecure? Why am I feeling insecure about these things? What underlying irrational beliefs are at the core of these insecurities? What unhelpful thinking styles are at the heart of these beliefs? What is the root cause of all these insecurities? This is all about peeling back the layers. The deeper you go, the better you will understand how you have come to develop these insecurities. The root cause of your insecurities often stems from a cluster of memories you have held onto for many years. These memories influence your decisions and actions. And they are, of course, a result of past experience. However, your interpretation of those experiences is the determining factor in how you feel. At the heart of these experiences are a set of limiting beliefs and/or unhelpful thoughts that you have chosen to adopt. You must first work through these areas to begin weeding out your insecurities. It’s time now to challenge your insecurities. Your insecurities are nothing more than interpretations you have made about yourself, others, circumstances, or about what will or won’t happen. On the surface, they are just opinions and perspectives you have latched onto. Is this really how things are or just how I imagine them to be? How could things be different to the way I am seeing and interpreting them? Given my predicament, are my expectations realistic in this particular situation? How else could I view or interpret this situation? How else could I view myself and what I believe I’m capable of in this particular situation? What is a more realistic set of expectations I could create? When you challenge yourself to think objectively, you start to question the validity of your experience. You throw doubt at the interpretations you have made and open the door to new possibilities and perspectives. Your next step is to take a moment to reflect on your successes and accomplishments. Have a think about all that you have done and successfully achieved over a lifetime. Consider the challenges you faced and how you overcame them. What have I excelled at in the past? Why have I excelled at these things? What strengths have helped me to excel in these areas? What personal attributes were of value at the time? How could I potentially bring that mindset into this situation? Reflecting on your successes in this way helps put things in perspective. It reminds you that you are capable of working through difficulties in optimal ways. Moreover, it gives you the confidence and self-assurance needed to get through anything. As long as you bring those same strengths, attributes, and adopt the right mindset, anything is possible. With a higher level of self-confidence at your disposal, you’re now ready to begin evaluating the nature of your circumstances. When we feel insecure about something, we convince ourselves that things are going to be a certain way. Subsequently, we reflect on the worst case scenario, which forces us to retreat back into the safety of our comfort zone. It’s difficult to take any form of proactive action when we’re riddled with uncertainty. What you therefore subsequently need is a little certainty. What’s the worst that could possibly happen if I take action despite my insecurities? So what? Who cares? Things are probably not as bad as I make them out to be. How could I potentially handle myself during this worst case scenario? How could I possibly turn a horrible experience into an opportunity for something better? What’s the best that could possibly happen if I take action to move beyond my insecurities? What regrets might I have if I hold myself back and allow my insecurities to get the better of me? The purpose of this step is to drop your guard — to let go of resistance. Moreover, it’s about exploring the possibilities and the regrets you will face if you refrain from taking action. The focus words here are “without hesitation.” The longer you take to decide whether or not you will take action, the more doubts will creep into your head and the more insecure you will feel. The final step is to make a full blown commitment to overcoming your insecurities. Making a commitment isn’t something you just do in your head. It’s rather something you adopt into your life. To overcome your insecurities, you need to break away from old habits and patterns of behavior. You then need to replace those habits with empowering habits, daily rituals, and routines that support your goals and objectives. Moreover, you must condition a new set of beliefs that align with those habits. Only in this way will you acquire the mental strength and momentum needed to overcome your insecurities. Let’s now explore some further guidelines on how to begin working through our personal insecurities. Just a heads-up that some of these guidelines will seem pretty straightforward. So much so that you may be tempted to disregard them entirely. However, when it comes to overcoming your insecurities, the smallest of things can make a huge difference. It’s therefore important that you commit yourself to working through each area progressively over time. Practicing self-acceptance means fully accepting yourself despite your flaws, imperfections, and limitations. Nobody is perfect, and expecting to be perfect will just lead to disappointment. We are all flawed in our own personal way. Instead of trying to hide those flaws, just accept how you are and embrace the person you have become. This, of course, doesn’t mean that you should just accept your lack of knowledge, skill, or experience and just give up. No, that’s not what I mean. There is a difference between what can be changed and what must be accepted. Change the things you can by committing yourself to self-improvement. However, for the things you can’t change, work on self-acceptance. The same applies to any situation, problem or dilemma you face. There will be things you can change, and there will be other things that you must learn to accept. Understanding this difference is one of the keys to long-term happiness. We all have our own personal views about how things are and how they ought to be. How you feel about something is probably different to how I feel about something, and vice versa. Everything is subjective. We interpret things our own way based on our past experience, beliefs, values, and expectations. It’s therefore not so much what happens to us that matters, but how we interpret those experiences. Let’s try something. The next time you’re overcome with insecurity, get another opinion. Ask someone you trust to provide his/her perspective and interpretation of the situation. Ask them how they would respond in your shoes. Possibly their perspective will differ to your own. This will prove to you that everything is subjective. And because it’s subjective, there is no right or wrong. It’s rather about the interpretations you make and ultimately how you respond that makes all the difference in the end. Yes, this voice does normally have very good intentions. It’s there to protect you from harm. However, protection comes with a cost. It costs you all the things you so desperately want in your life. When this inner critic takes over, it convinces us that we’re just not good enough and that making mistakes will hurt us. But are these really truths? Well, it just depends. Our experience is after all subjective. It’s how we interpret things that matters, right? So, it, therefore, could be your truth, but at the same time, you have the power to create a new reality. You hold the power to either subscribe to the rubbish your critical voice sells you, or to simply ignore it and walk away. The choice is yours to make. The process of overcoming your insecurities is very much akin to flexing a muscle. As you continue to flex this muscle it strengthens and grows over time. What’s the worst that could happen if I say YES? What’s the best that could happen if I say YES? The more often you say YES to all these things, the more you strengthen your “insecurity” muscle. And the stronger it becomes, the more comfortable you will feel doing unfamiliar things that push you beyond what you thought was possible. 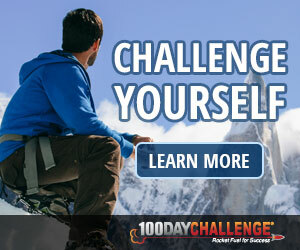 One of the best ways to train that “insecurity” muscle is to challenge yourself to live more spontaneously. To live spontaneously means embracing a lighthearted nature, it means being more curious and adventurous. However, to live this way requires that you stop taking life so seriously. Living life in this way will allow you the freedom to be yourself — to be your true authentic self. And living this way will provide you with the platform you need to overcome your insecurities. We often fall into the insecurity trap when we’re living by other people’s rules, standards, and expectations. We do this to impress others — to win them over. However, by trying to win other people over, we lose touch with what truly makes us happy. What will I accept and won’t I accept? What personal boundaries will I set that will give me the freedom to be myself? This, of course, doesn’t mean that you should close yourself off from everyone around you. We all need special people in our lives. You are the one who gets to choose how to set and when to set these boundaries. They are there to give you the personal space you need to be your true authentic self. They are also there to protect you from those people who constantly make you feel inadequate and insecure. One of the major obstacles you will face that will prevent you from overcoming your insecurities is the fact that you constantly keep comparing yourself to others. When we compare ourselves to other people, we conclude that we either measure up or we don’t. When we measure up or surpass other people, this makes us feel powerful, confident, and strong. However, when we realize that we don’t quite measure up, that’s when our insecurities take over. Comparing yourself to other people isn’t healthy. Everyone has their own unique set of experiences, skills, talents, abilities, and knowledge. Their strengths may not be your strengths. Likewise, your strengths may not be their strengths. It’s like comparing apples and bananas. They’re two different types fruits. There are no comparisons that go beyond that. Okay, so let’s say you stop comparing yourself to others. That’s a great start. You will immediately find that a lot of your insecurities will wash away. But what now? How about making comparisons to ourselves, or to past performance? Well, that too can very quickly lead to insecurity phobia. The key to letting go of all your insecurities is to make no comparisons. Just accept how you are and how things are at this very moment. Commit to doing your very best in every situation, and leave it at that. Remember, that your best will be different every time and is affected by your state of mind and unique circumstances. Therefore, don’t measure your best by what you did or failed to do in the past. The past no longer matters. What counts is what you did today. Measure what you’re capable of doing right now, and leave it at that. One of the most effective ways for overcoming insecurity is to commit yourself to becoming a lifelong learner. This, of course, isn’t a quick fix for your insecurities. However, it is something that will play in your favor over the long-run. When you commit yourself to becoming a lifelong learner, you take responsibility for developing your skills, for growing your knowledge, and for improving various aspects of your life. As you learn and grow in this way, you naturally start feeling more confident, competent, and capable. And as you develop yourself in these key areas your insecurities typically begin to fade away without much effort. However, this process takes time, and you may not see visible results for a while. But as long as you stay committed, things will eventually pay off in the long-run. Another long-term strategy that will pay off in the future is to keep a journal of your life’s journey. Within this journal, you will keep track of all your personal successes and accomplishments. Moreover, you will list down all your positive qualities, attributes, and strengths that got you through challenging times. Each day I suggest you take 5 minutes to journal how the day went and the positive qualities, attributes, and strengths that got you through that day. Moreover, list down all your successes and how they came about. As you continue this daily journaling ritual, you will quickly find that it snowballs over time. All those positive things you wrote about will coalesce into a giant wave of confidence that pumps up your self-esteem and miraculously helps you to surmount all your insecurities. Yes, this might seem too good to be true, but I assure you it will happen. It will just take time for your insecurities to progressively fade away. As long as you stick with it and stay consistent, that’s all that matters. Having read through this guide, I hope you now understand what it takes to overcome your insecurities. It sure won’t be an easy process, and it could take a considerable amount of time. However, you have to start somewhere. Begin by focusing on one single area of your life that you feel insecure about. Walk yourself through the six-step process and then begin incorporating some of the guidelines we discussed above. I guarantee you will see results. However, your long-term success hinges on how committed you are to follow through with this till the very end. Did you gain value from this article? Is it important that you know and understand this topic? Would you like to optimize how you think about this topic? Would you like a method for applying these ideas to your life? The Self-Confidence 10 Map Bundle includes a selection of hand picked maps that are designed to help you improve your self-confidence when dealing with discomfort and uncertainty. The Social Skills 10 Map Bundle includes a selection of hand picked maps that are designed to help you develop essential social skills for nurturing stronger social bonds and relationships. The Socially Awkward 10 Map Bundle includes a selection of hand picked maps that are designed for those who would like to learn how to handle socially awkward situations with confidence. If you’re intrigued by the idea of using mind maps for self-improvement then I would like to invite you to become an IQ Matrix Member. If you’re new to mind mapping or just want to check things out, then register for the Free 12 Month Membership Program. There you will gain access to over 90 mind maps, visual tools, and resources valued at over $500. If, on the other hand, you want access to an ever-growing library of 100s of visual tools and resources, then check out our Premium Membership Packages. These packages provide you with the ultimate visual reference library for all your personal development needs. Adam is a life coach, mind mapper, doodler and visual thinker. He founded IQ Matrix in 2008 and has created over 400 self-growth mind maps. He also teaches doodling for personal development and transformation. Learn more at IQ Doodle School. Feel free to also get in touch and send Adam a message.